Bartha Maria Knoppers, PhD (Comparative Medical Law), is a Full Professor, Canada Research Chair in Law and Medicine and Director of the Centre of Genomics and Policy of the Faculty of Medicine at McGill University. 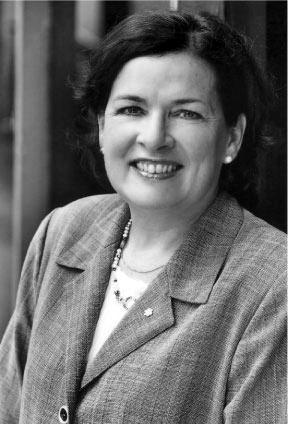 Dr. Knoppers is the founder of the Public Population Project in Genomics (P3G) and CARTaGENE Quebec’s population biobank (2007 – ). Since 2005, Dr. Knoppers has been active in Canadian Stem Cell policy and has chaired the Ethics Working Party of the International Stem Cell Forum (2005 – 2015). Furthermore, she is Chair of the Ethics and Governance Committee of the International Cancer Genome Consortium (2009 – ), as well as of the Ethics Advisory Panel, WADA (2015 – ). Dr. Knoppers is one of the co-founders of the Global Alliance for Genomics and Health (2013 – ), and Co-Chair of its Regulatory and Ethics Working Group. In 2015 – 2016, she was a member of the Drafting Group for OECD’s Health Data Governance Policy, and gave the prestigious Galton Lecture in November 2017. Dr. Knoppers holds four Doctorates Honoris Causa and is a Fellow of the American Association for the Advancement of Science (AAAS), the Hastings Center (bioethics), the Canadian Academy Health Sciences (CAHS), and the Royal Society of Canada. Dr. Knoppers is an Officer of the Order of Canada and of Quebec. In 2017, she also became the Commander of the Order of Montreal.